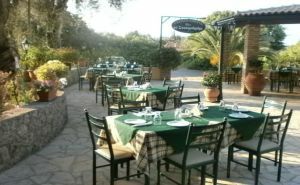 Enjoy traditional home cooked Greek and Corfiot cuisine as well as some Italian dishes. 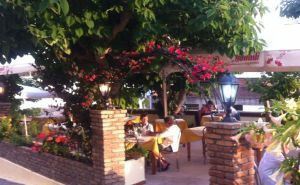 Dine 'al-fresco' on the terrace overlooking the sea and the famous Pelekas sunset. Perched on the cliff-top above Mirtiotissa Beach, Elia Restaurant has a well earned reputation for both the quality of the dishes it serves and the freshness of the ingredients that go into them. 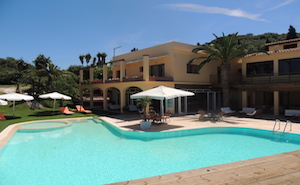 Foros offers Internet Access, Giant TV Screen, Air Conditioning, Full Size Pool Table and a Darts Board. 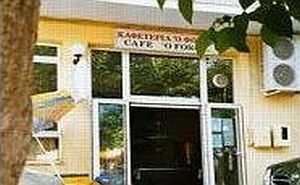 These brand new rooms are situated 500 metres from the centre of Pelekas (on the road to Glyfada). Some have sea-views, others overlook the lawns and pool. They sleep two or three persons and have a fridge, Wi-Fi and air-conditioning. Accommodation includes a continental breakfast and there is free off-road parking. Open all year round. 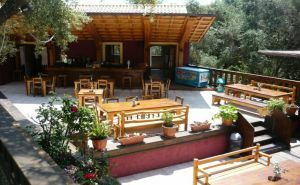 You'll find this traditional, family-run, Greek taverna, among a grove of olive trees at the crossroads to Pelekas, Sinarades, Ermones and Corfu Town. In the summer dining is al-fresco under the trees. In the winter seating is inside by the log fire and often accompanied by live music. 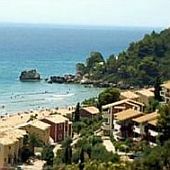 On this kilometre long stretch of golden sand, recognised as one of Corfu's best beaches.